Hiring in metropolitan Knoxville is expected to show healthy improvement in the second quarter, according to the Manpower Employment Outlook Survey released Tuesday. 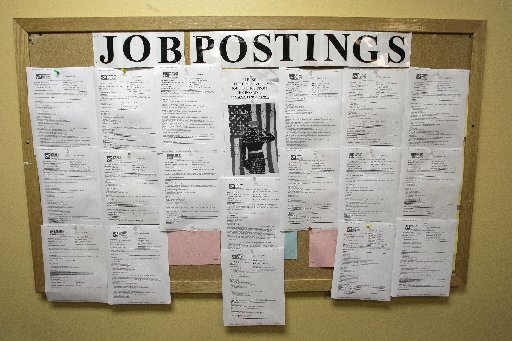 Seventeen percent of Knoxville area employers surveyed said they planned to add jobs in the April to June period, while only 1 percent said they would trim payrolls, Manpower reported. Construction related businesses are among a broad range of area companies expected to add jobs in the coming quarter. “We’re seeing a lot more activity in construction. We’re seeing a lot more opportunities,” said Bill Garibay, president and CEO of ES&H Inc., a Knoxville-based company that provides professional services in construction, remediation, environmental, and safety and health support. An improving economy is driving increased hiring, said Garibay, who also is president of the Hispanic Chamber of Commerce of East Tennessee. “The economy is making a turn. The housing market is making a turn and people are starting to spend money,” he said. Area employers were considerably more cautious about adding jobs in the first quarter when 13 percent said they would hire in January through March period, while 9 percent expected to cut staff , Manpower reported. In addition to construction, other Knox area job sectors with the best employment opportunities include, durable goods manufacturing, nondurable goods manufacturing, transportation and utilities, wholesale and retail trade, financial activities, professional and business services, education and health services, leisure and hospitality and government, Manpower said. Nationwide, 19 percent of employers surveyed plan to add jobs in the second quarter and 4 percent said they would cut staff. Manpower surveyed more than 18,000 employers across the country for its second quarter report. This entry was posted in Employment and tagged Bill Garibay, construction, durable goods manufacturing, Economy, education and health services, employers, employment, financial activities, housing, Jobs, leisure and hospitality and government, Manpower Employment, nondurable goods manufacturing, Outlook Survey, professional and business services, transportation and utilities, wholesale and retail trade on March 11, 2014 by Roger Harris. Third quarter hiring in metropolitan Knoxville is expected to remain healthy, although it will slow from a strong second quarter pace, according to the Manpower Employment Outlook survey released Tuesday. Twenty-one percent of Knoxville area employers surveyed said they would add jobs from July to September, while 6 percent said they planned to decrease staff. Seventy-one percent plan to maintain current staff levels. In the second quarter survey, 25 percent of area employers said they planned to add workers, and 1 percent said they would cut jobs, making Knoxville’s spring “employment outlook the best in the nation,” Manpower reported. This entry was posted in Employment and tagged construction, education and health services, employment, financial activities, information, Jobs, Knoxville, leisure and hospitality, Manpower Employment Outlook Survey, professional and business services, staff, transportation and utilities, wholesale and retail trade, workers on June 12, 2012 by Roger Harris.